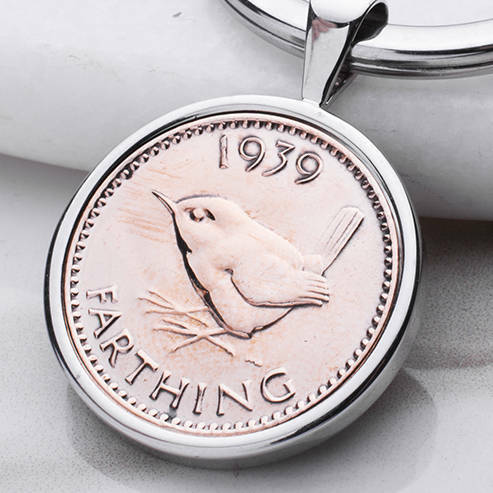 A quality keyring, made from a real 1939 farthing coin, the perfect 80th birthday gift for them to remember their yesteryear. 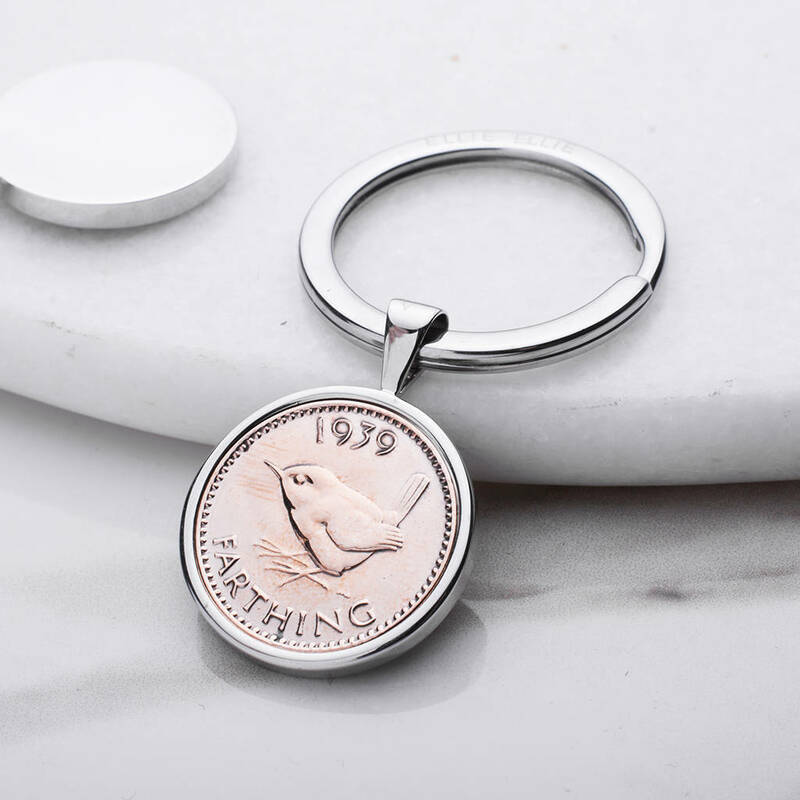 Designed and handmade by Ellie Ellie in Sussex (UK), our farthing keyrings make a fantastic gift to celebrate their big 80th birthday, with the keyring displaying a farthing coin minted in their year of birth, a truly personable gift. 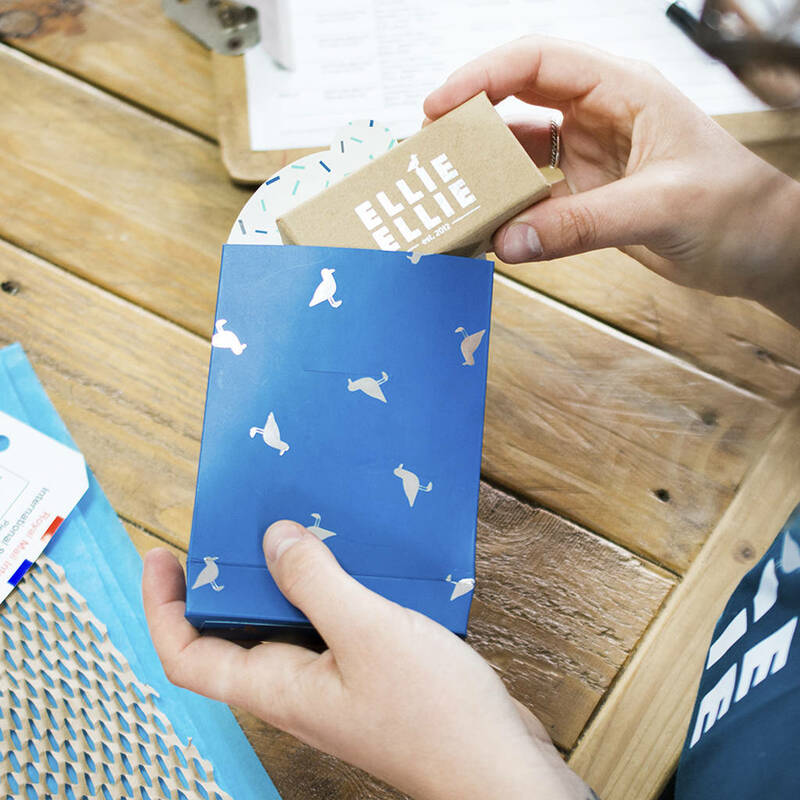 Each keyring comes in its very own Ellie Ellie gift box, for that extra special touch. Would you like your keyring engraved? 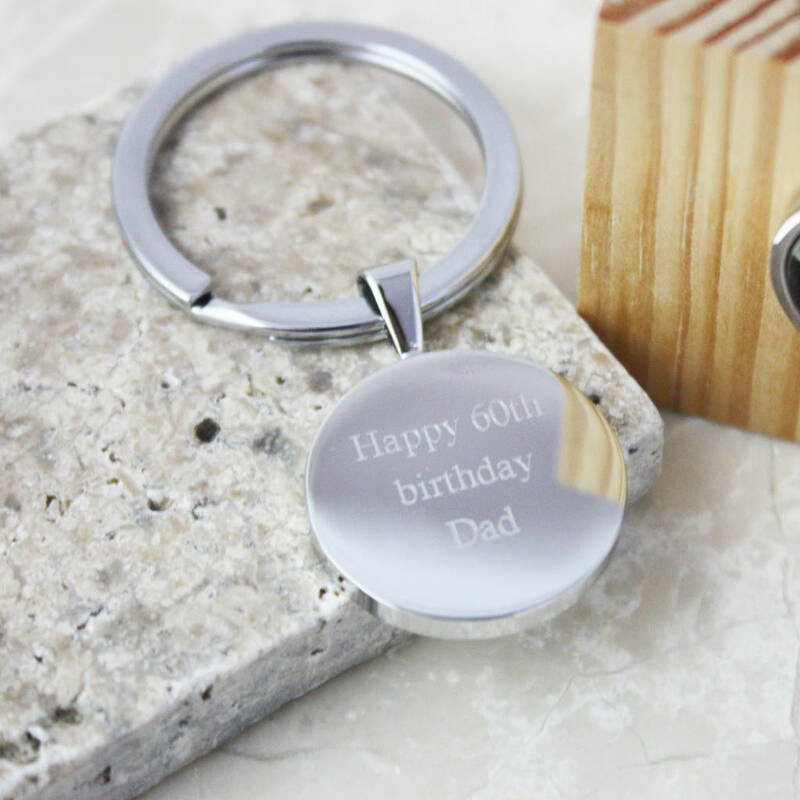 We offer a beautiful engraving service to make your keyring even more individual. 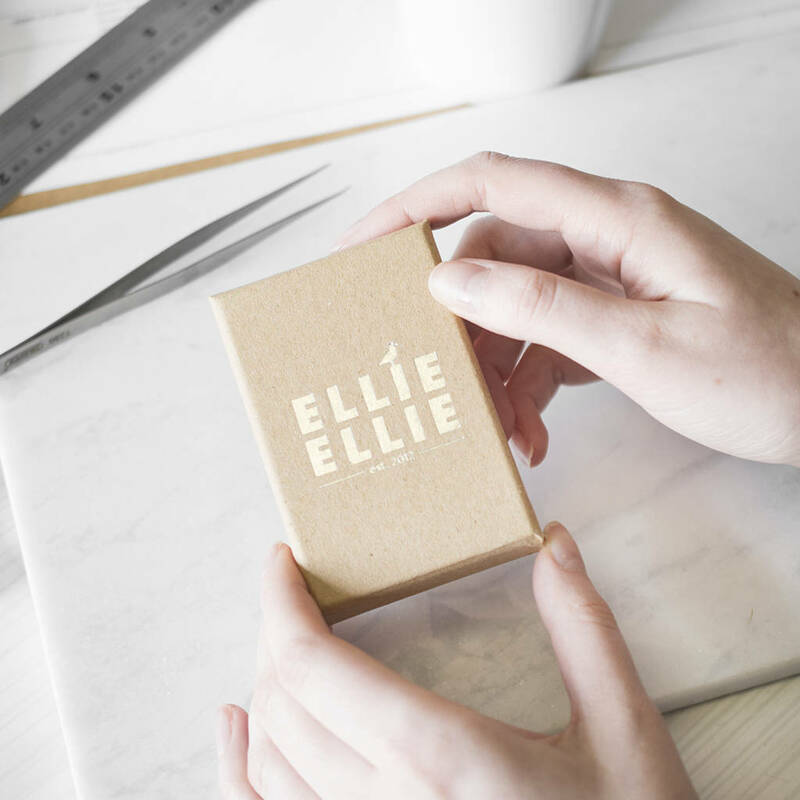 Perhaps personalise with a special date, message or set of initals. 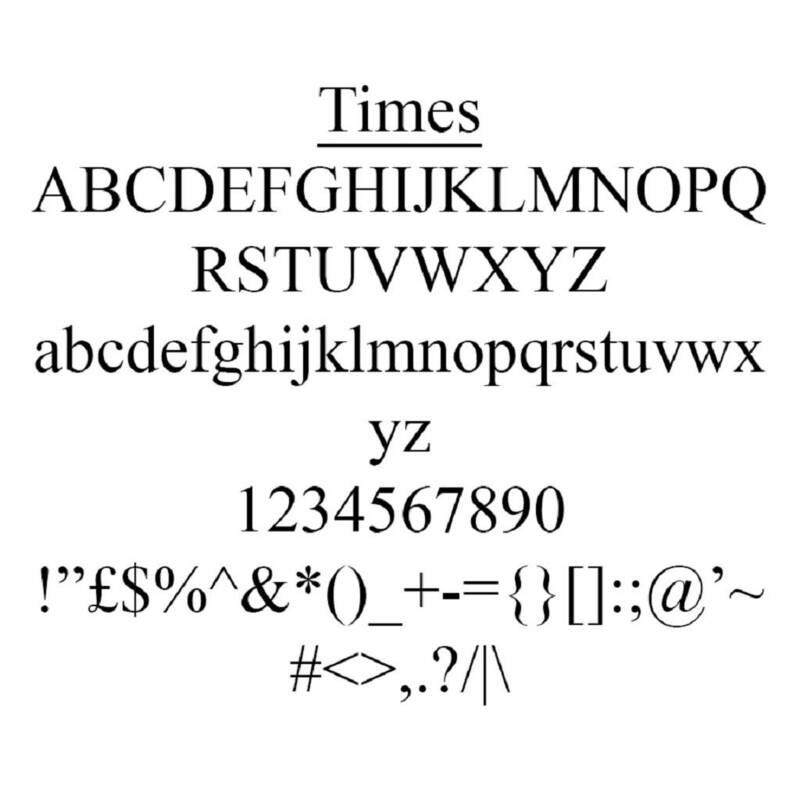 Please note scale and format of your engraving will be dependant on your specified characters. 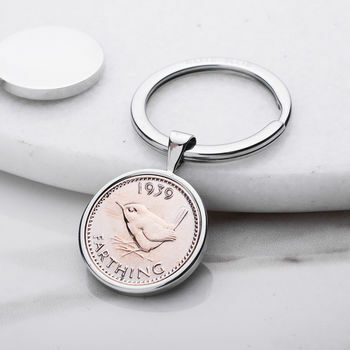 Genuine penny farthing coin on a rhodium plated keyring with a silver plated split ring. 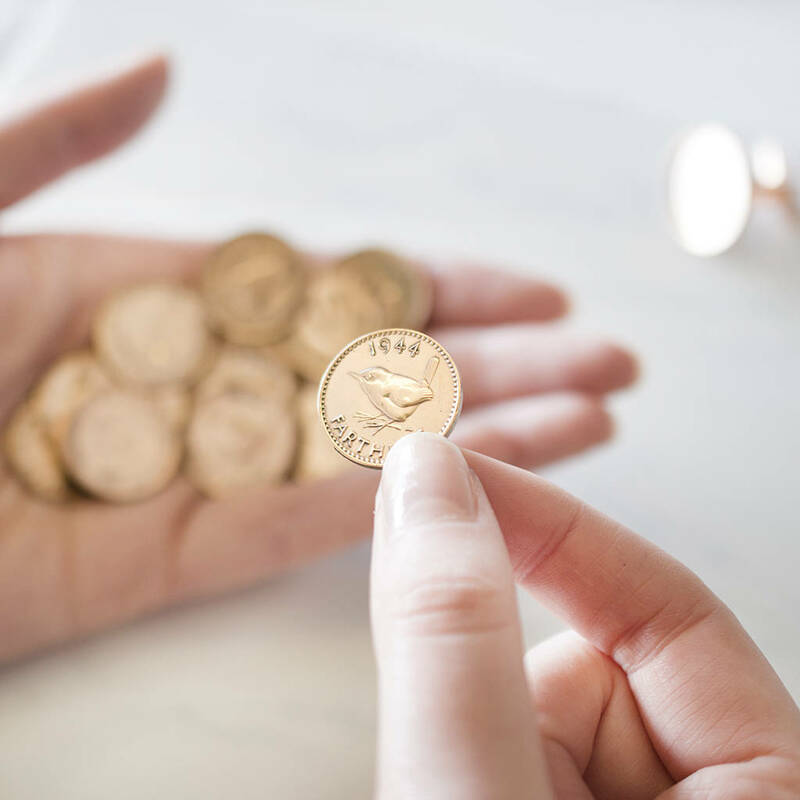 Keyring face measures 2cm round.